Kim MacAfee has just agreed to go steady with Hugo Peabody when she gets a once in a lifetime phone call: she has been selected to be kissed by Conrad Birdie! Albert, Rose, Conrad, and even Albert’s over-bearing mother come to Kim’s hometown to publicize the kiss. The New York guests shake up the small Ohio town. Bye Bye Birdie will be directed by Anna Olson, and choreographed by Kate McCall. When: Monday, May 13, and Tuesday, May 14, from 6:00 - 9:00 p.m. (last audition slot begins at 8:30). Callbacks will be held Thursday, May 16, from 6:00-9:00 p.m. You will be contacted if chosen for a callback. ​Visit our TheatreForms page to sign up for an audition time slot. Or, if you’d prefer – scroll to the very bottom of this listing for a link to a hard copy audition form to complete and bring along with you (jot any potential rehearsal conflicts on the back). Please note – if you fill out the electronic form there is no need to print and fill out the general audition form. Parents of auditioners ages 17 and under should also complete and bring this form: CVFT CHILD AUDITION AGREEMENT FORM - Parents of 17 and under. Auditions for Bye Bye Birdie will consist of singing and dancing. For the singing audition, you will need to prepare approximately 30-40 seconds of an upbeat musical theatre song. The section you choose should showcase your singing abilities, and your ability to “act” the song. You will sing in front of the Director, Vocal Director, and one or two other production staff members. A pianist will be provided, so please bring piano music with cuts clearly marked. If you need help choosing a song, there will be some familiar, classic audition song selections available at the registration table. Vocal auditions will not take place in a group format. For the dance audition, wear comfortable (but not baggy) clothes. If you have tap and/or jazz shoes please bring them, but tennis shoes are fine as well. You will learn a short routine as a group and audition in a group setting. Please note, voice range information is not available for all characters, but this does not mean that they are non-singing roles (except where noted). Rehearsals will begin Tuesday, May 28, 2019, and will typically be held Monday through Friday evenings at Chaska Community Center (Tech Week schedule TBD). Ten performances will run from Thursday, July 25, 2019 - Sunday, August 4, 2019. Visit CVFT.org for more information and a detailed show schedule. Auditions are open; family involvement is encouraged! We hope to include cast members from diverse backgrounds and experiences. 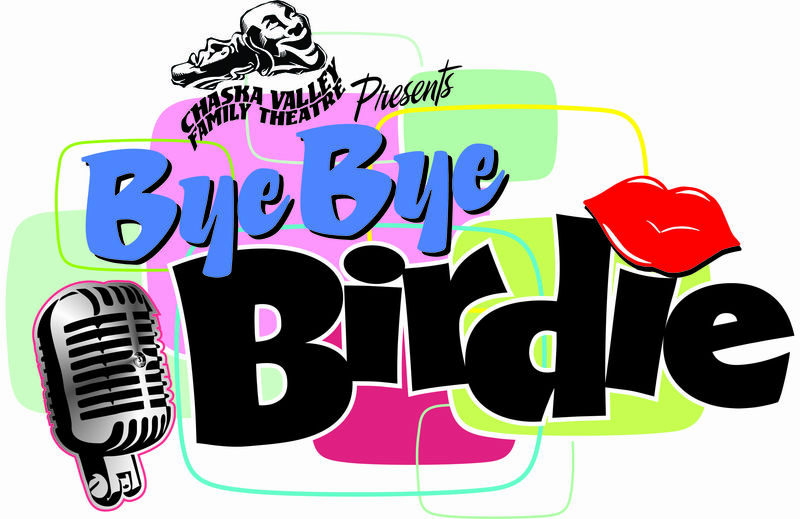 This production of Bye Bye Birdie will focus on the development of a community, inclusive of all people from different walks of life and beliefs. Auditions are conducted on a first-come, first served basis. Productions may have specific age or gender requirements.